It can be worrying as a parent when your child is poorly. The tools on this page are aimed at helping you identify common conditions and illnesses that may affect your child and if you can care for them at home or if you need to seek medical help. This visual guide from NHS Choices will help you identify common illnesses and conditions that may affect your child and if you can care for them at home. Is Your Child Too Ill for School? Its normal for babies to develop skin rashes, but its important to know the difference between a minor irritation and a condition that needs medical attention. This visual guide from NHS Choices helps you familiarise yourself with the different ones. As a parent it can be extremely worrying if your child has a high temperature. But it’s very common and often clears up by itself. 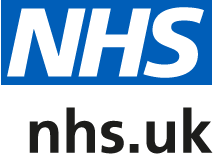 This guide from NHS Choices will help you to know when/if you need to seek medical help. Not every illness needs to keep your child from school or nursery, but if you are unsure if your child is too ill to attend,this guide from NHS Choices can help. It can be difficult to tell when a baby or toddler is seriously ill, but the main thing is to trust your instincts. You know better than anyone else what your child is usually like, so you’ll know when something is seriously wrong. This guide from NHS Choices gives you a checklist of warning signs to look out for.